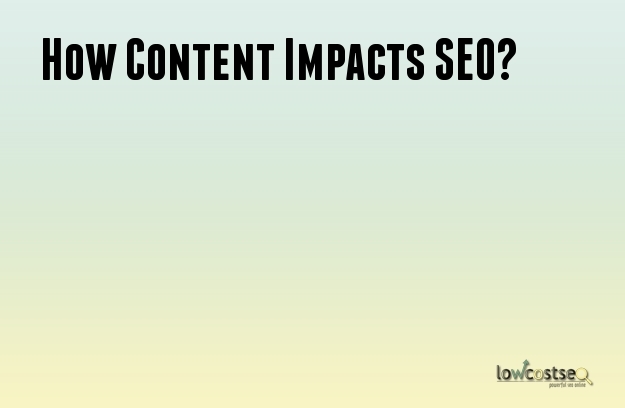 Content plays a major role in the success of any SEO campaign. If the content is of poor quality or not utilized properly, the results will never be successful. Building a solid content base is a fail proof idea for creating a good foundation in the search engine. Content Quality: A major part of the quality of your web site will be determined by the content it has. You must, therefore, make sure that the content is attractive and capable of holding the customer’s interest. If it is written poorly, the potential clients will not find any interest in going through the web site any further. Content & Keyword Research: SEO works by ranking the keywords and in the process, the web site. It is very important to research the keywords properly before starting the optimization and content writing process. There are techniques by which you can discover the phrases or terms with which the customer search the engines. Using Keywords In The Right Place: The researched keywords need to be placed in the right place to make it more relevant to the internet search. While writing the content, the keywords should be used in a way that makes it search engine friendly. If your content has already been written, you can edit it and place the keywords in the content. However, you must not use the terms haphazardly or more than necessary as it may give the opposite results. The keyword density should be 2.45 % of the number of words used. Freshness of the Content: this is very important and the search engines always give preference to new content. But, that does not mean that you have to add new content to your site every day to increase the number of pages. Google conducts a thing called Query Deserved Freshness (QDF) by which it seeks out the most relevant content. For example if you search the internet with the word ‘fire’, it will show a number of things. But, if there is a report of fire accident that report will automatically rank high in the search engine. So, the trick is having the right content at the right time. Vertical Search: Besides web content search there is also a vertical search technique that comprises images, videos, podcasts, audio, etc. If you have content in form of videos or images that can also help your get the required rank on the search engine. This is an additional benefit and will give your web site an edge in the engine ranking and visibility. Direct Answers: Research shows that search engines are trying to give direct answers increasingly. For example: Why is the grass green? You can try writing your content in a format that can give direct answers to the users who search for it. This will no doubt give your web site a further boost. With the right content you can give your web site a good ranking on the major search engine and experience increased page traffic and rate of conversion.